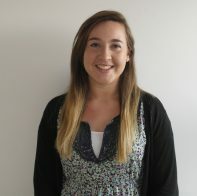 I’m Charlotte, School Catering Nutritionist for HES Catering Services (HES) and a Registered Associate Nutritionist (ANutr), and a massive foodie! I graduated from Oxford Brookes University in 2013 with BSc Honours in Nutrition, Exercise and Health and have worked for HES since April 2014. I am a firm believe that everyone is different and has different needs therefore “one size doesn’t fit all” when it comes to nutrition and leading a healthy lifestyle. My main passion? Being able to inspire and educate young people and their families by providing them with the essential information, they need to develop healthy balanced lifestyles. By healthy balances lifestyles, I mean eating foods within moderation and without eliminating foods… a little of what you fancy can sometimes be good for you but again- within Moderation! By restricting yourself could lead you to over indulging in foods that could impact your health in the long run. Remember, when you eat food, you are nourishing your body but at the same time, eating is one of the many pleasure we get in life- so eat well! Portion Sizes, are we getting them right! HCS @ LBH Staff Workplace Wellbeing Day!